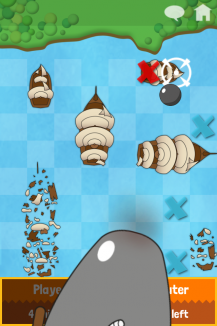 "Sea Battle Multiplayer" is a classic game for two players. 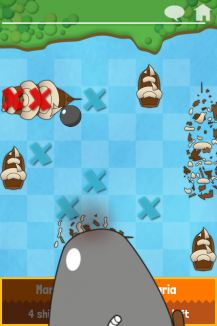 Goal of the game is to sink all of your opponent's ships before he sinks yours. You take turns taking a shot at your opponent's battle field at sea. If you miss, it is his turn. If you hit one of his ships you can aim again until you sink his whole fleet. 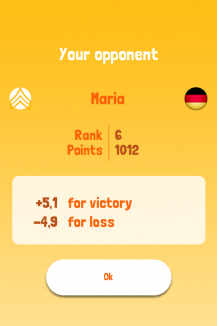 Play against the computer, friends or complete strangers from all over the world and climb up our rankings to be the global #1. - Singleplayer: Play on your own device against the computer and train your skills. - Local Multiplayer: Play with a friend on the same device. - Online Multiplayer: Chose someone from your friend list or play again random strangers from all over the world. 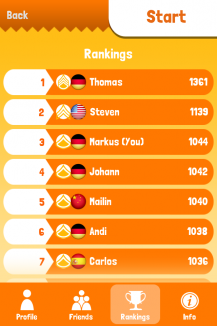 - Earn even more points to make it to the top of our global or national leaderboard. - Our free "Sea Battle Multiplayer" App is available in app stores worldwide. You can play against people from all over world online. We hope you like "Sea Battle Multiplayer" and we are always happy about feedback (also critical) of our free game. Just send an email to our support address. Have fun playing!